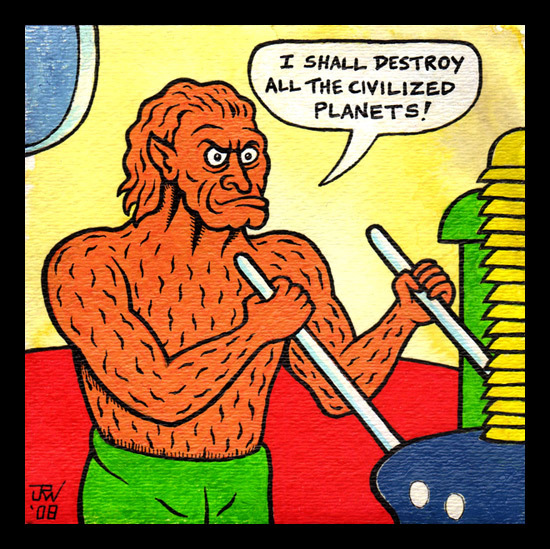 Yet another painting based on a Fletcher Hanks panel. Get yourself a couple of mop handles and you, too, can annihilate worlds! Acrylic and ink on 140 lb. archival watercolor paper, 5" x 5"